Mary Ann Breisch is a seasoned arts educator and nonprofit executive who has provided leadership and instruction for nonprofit education and arts organizations for more than 15 years. She brings with her extensive experience in the development of multidisciplinary arts programming and visual arts education. Ms. Breisch previously served as Education Director at Chagrin Falls Park Community Center, also Fine Arts Administrator and Associate Head of the Lillian and Betty Ratner School in Pepper Pike, where she successfully oversaw the curriculum, program design, and community partnerships. 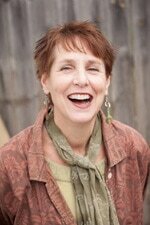 In addition she brings prior experience as Program Facilitator at the Valley Art Center in the late 90’s. She began her career as a studio artist and art educator in private schools, residencies and community partnerships throughout northeast Ohio. Breisch received her BFA with teaching certification from Bowling Green State University. Mary Ann lives with her husband, Jack in the Chagrin Valley. Jeni Yonker received her B.S. in Textile Science from Michigan State University and continued graduate studies at the Fashion Institute of Technology in New York City. She has been both a student and an instructor at the Valley Art Center and has a passion for art and drawing. As a 15 year resident of Chagrin Falls she really appreciates what a great resource and organization the Valley Art Center is for our community. 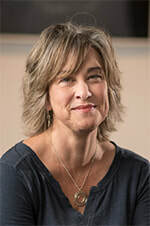 Jeni lives in Chagrin Falls with her husband and two boys and is thrilled to be part of the Valley Art Center team. Kate Bruner was born in and grew up in the Chagrin Valley. She moved away to complete a BFA in Photography from Antioch College and an MFA, also in Photography, from Pratt Institute in NYC. Kate loved the city so much that she stayed and began her career with positions at various museums and photography studios. Notably, Kate worked for famous Pop Artist Peter Max for ten years. Kate has always had a passion for the Valley Art Center and has been involved in many capacities including: student, volunteer, parent of students, and exhibiting artist. In her staff role at the VAC, Kate hopes to bring her love of art as well as her numerous skills acquired in a long, varied and successful art career. Dan Simone is a lifelong artist and resident of the Chagrin Valley. He most recently completed an Associate’s degree in graphic design at Lakeland Community College where he won multiple awards. He previously was the Curator’s Assistant at the largest gallery space in Lake County, the Gallery at Lakeland Community College. Dan is excited to bring his talents to Valley Art Center, and is eager to get to work! Linda Merchant is an award winning artist specializing in contemporary realism and wildlife art, with a focus on detailed painting techniques in oil and soft pastel. She holds a B.A. in Archaeology from Youngstown State University and a M.S. Degree in Special Education from National University. She is currently a visual arts instructor at Valley Art Center, Fairmount Center for the Arts, Willoughby Fine Arts Association, and Beck Center. Linda brings her extensive experience in graphic and website design to her new position at VAC.